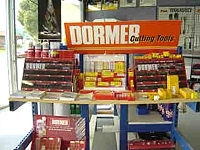 Wimmera Bearings is the Wimmera's only teng tools distributor. 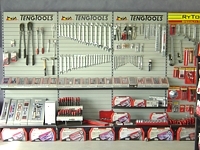 Teng Tools specialize in supplying a range of mechanical hand tools for the price conscious professional user and the quality conscious DIY enthusiast. Many of the tools have won international recognition, for both quality and design. All tools bearing the name Teng Tools are designed and manufactured to meet or exceed ISO, DIN and other international standards. Has been developed from the seal that is the heavy trucking industry standard, the Scotseal®Classic. It has the performance charactristics required by today's most demanding heavy duty environments. Scotseal®longlife seals are especially resistant to high wheel end temperatures, harsh or incompatible lubricants and the ever-present attack of roadway contaminants. The seal uses three lips in a unique design for contaminant exclusion and a fourth primary sealing lip to create a seal that can withstand the harshest contaminant attacks. The Threadlocking Solution Pak contains trial sizes of adjustable removable, penetrating and permanent threadlockers, while the Retaining Solution Pak includes retaining compounds for general purpose, high temperature, fast cure and high strength applications. 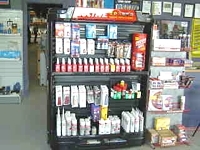 Both Solution Paks also contain a primer for fast curing. 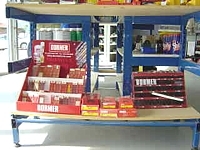 Coromant's full range of 25,000 products is presented in catalogues and in the new Internet based catalogue. SKF is the world's leading manufacturer of rolling bearings with over 80 factories in 17 countries. Throughout its long history, dating back to 1905, SKF has invested a larger proportion of its sales revenue into research and development than any other bearing company. The company's commitment has resulted in a stream of new developments in products, materials, manufacturing and quality techniques that keep SKF in its position of world leadership. SKF bearings are quality products manufactured in high volumes with great precision. SKF steels, manufactured in Sweden, combine exceptional fatigue strength with extreme purity. SKF manufactures over 25,000 standard range bearing variants, more than any other bearing manufacturer. New products are added regularly; for example the E-Type spherical roller bearing which can carry 20% higher loads with 30% lower friction and 80% longer life. To help with product selection and application SKF distributes two key publications: The SKF General Catalogue: Perceived as the definitive publication on bearing technology. The SKF Bearing Maintenance Handbook: Gives engineers who face the problem of maintaining, dismounting and mounting bearings sound advice on the tools and techniques to best complete the task quickly and economically.